A fine example of a well-worn stool. 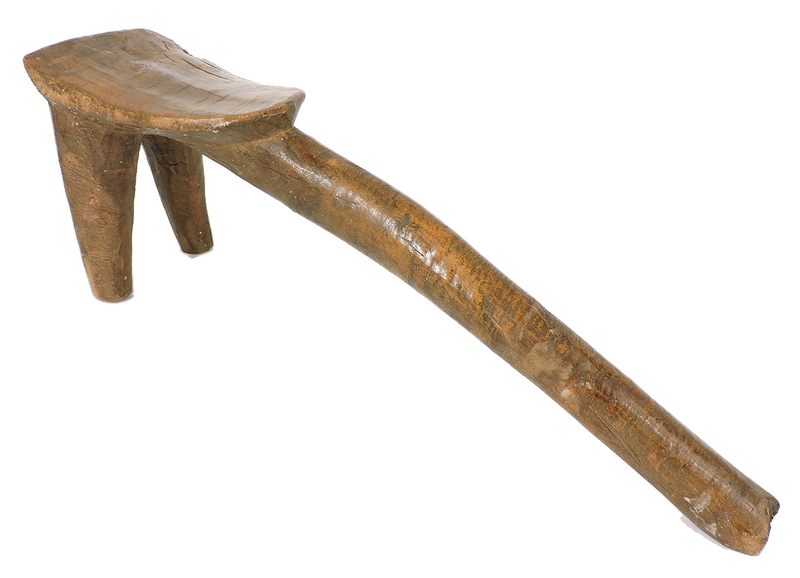 Additional Information: This uniquely shaped three legged stool comes from the Lobi people of the Northern Ivory Coast and Ghana and the lower reaches of Burkina Faso. Thew third leg is a phallic reference. Spread across the boundaries of three countries the Lobi live in individual fort-like family compounds in small villages surrounded by cultivated fields. Within the walls of the compound family life includes the family head, his wives, married sons and their families. 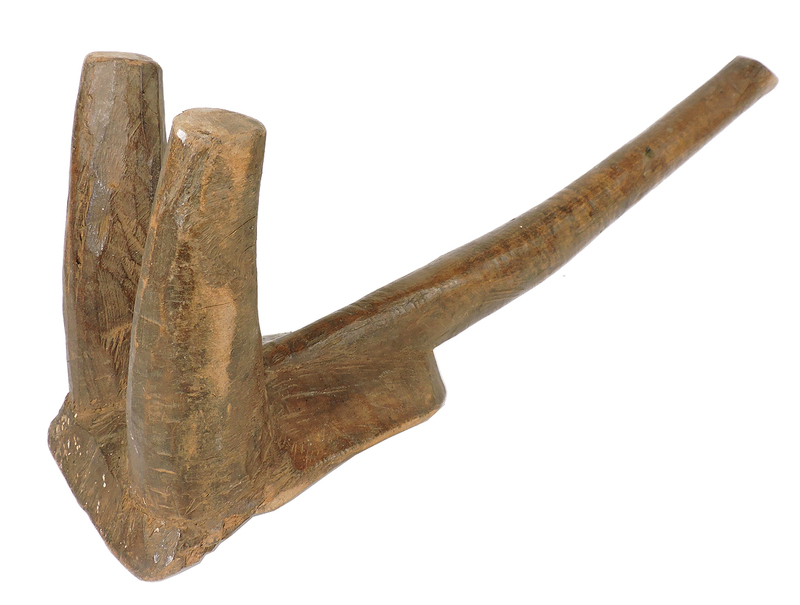 Used exclusively by Lobi men, stools are three legged and those for women four legged. Lobi stools are carved from a heavy, dense wood and their simple, abstract forms carries great visual power and worn patina showing much use and age. 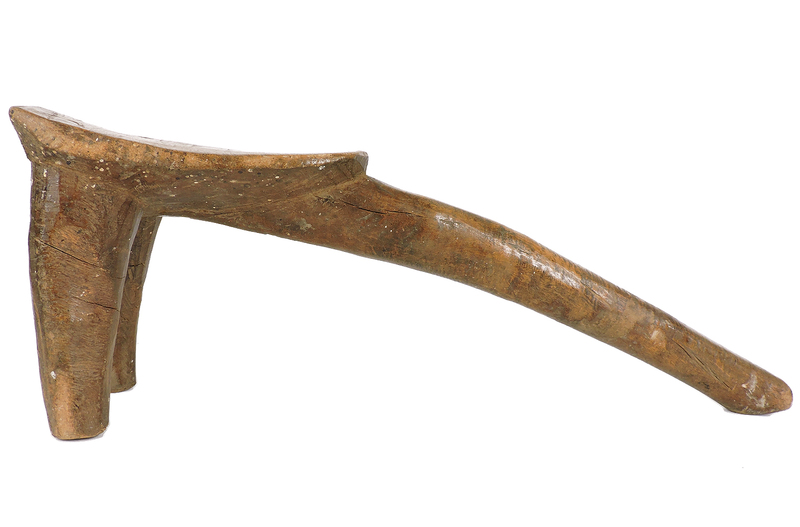 The three-legged design of the stool allowed Lobi men to carry it on their shoulder when not being sat upon. Such stools were also used to beat upon the ground when an elder approached as a sign of respect for the older person. This stool is in excellent condition and would be a good addition to any collection of African Art. Meyer, P. Kunst und Religion der Lobi. 1981. Bocola, S. African Seats, 1994.